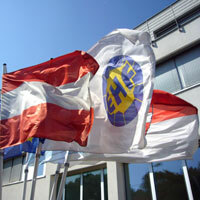 The ECA confirms the decision of the EHF Arbitration Tribunal. Mr. Loke shall therefore pay a fine of €10,000 to the EHF and is suspended from participating in international club competitions for nine months. As Mr. Loke was allowed to play until now, the nine-month suspension begins as of the date of the decision, 13.01.2010. This decision is final and binding for both parties. Another case involving Mr. Loke is currently pending. The ECA are following up a claim from the Danish Handball Association regarding the player’s transfer rights.